Healthy, clean, and happily seeing. Today, I would like to discuss my experience with caring for the eyes, or more specifically the eyelids. I have very sensitive eyelids that tend to inflame every once in a while, for several years now. This experience has taught me a lot about eye care. A. The first and most important thing to remember is that the eyes, as does the entire body, heal themselves constantly. All parts and particles are constantly refreshed. This process seems to take place mostly during sleep at night. B. Sleep well and comfortably. There is interesting research from animals and apes to suggest that sleeping in different postures affects us in different ways. Sleeping on the stomach, for periods of time, seems to assist in digestion. Some claim that our metabolic system is strongly connected to the eyes, therefor healthy nutrition and digestion is paramount. C. Externally, using natural soap - to your selection - is a great way to assist in keeping harmful substances and bacteria away. Washing the face with some soap, and washing it away with water after, would help keep the skin clean and healthy. 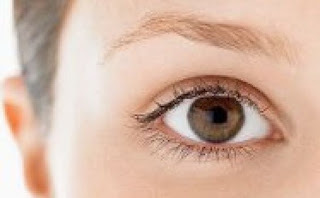 D. The eyes can be very sensitive both to dryness and moisture. I find that moisture, such as water residues after a face wash, can nourish bacteria and make the eyes more sensitive. Using a towel to make sure, carefully and gently, that the eyelids are dry, after washing, helps a lot. E. Clean hands can help clean the eyes. While the eyes produce sticky wastes to protect themselves, and especially so during sleep, they can't always remove them properly. These are usually removed at the edges of the eyelids. It is possible to assist the eyelids in cleanup, by using clean hands - after washing, even with soap - to gently pull away the crust from the more sensitive area of the eye and away. I find a little gentle use of fingernail helps. F. Inflamed or injured eyes should never be scratched or rubbed. Only healthy eyes can tolerate this mechanical maneuver In order to locate and remove irritants from sensitive eyes, you should use a mirror under good lighting. Use clean hands and gently remove any hair or dirt located. Pinpoint the spot, and never attack the eye in its' entirety, for it will get even more sensitive if you do. G. Lastly, the most important occasions for eye-care are before going to sleep and directly after waking up. Before you go to bed, make sure your eyes are clean and dry. Even a little cleanup can help a lot. After waking up, if you have special sensitivity or injury, wash up and dry up. Use a mirror to identify any crust or hairs that may not have been removed during the morning wash. Wastes from the eyes can be very sticky and insistent, and this is why eye infections are often chronic and persistent, in my experience. Its really nice post. Eyelastin i appreciate for your post.thanks for shearing it with us.keep it up. I love the looks I can get with this.It's a definite Iink is Eyelastin.already know which is my favorite and it surprised me -the <a winner.Of course the whole box is great. Thanks. :-D It's quite a personal topic I posted about here, so I'm really happy to see how interesting people find it.